Good morning, Friends! It's only Thursday. Ugh! But if I make it through then it will be Friday! Yay!! Lol! No bike races this weekend so I will be able to get a lot of stuff done! And I need to! Today's card was inspired by the super simple sketch at Freshly Made! 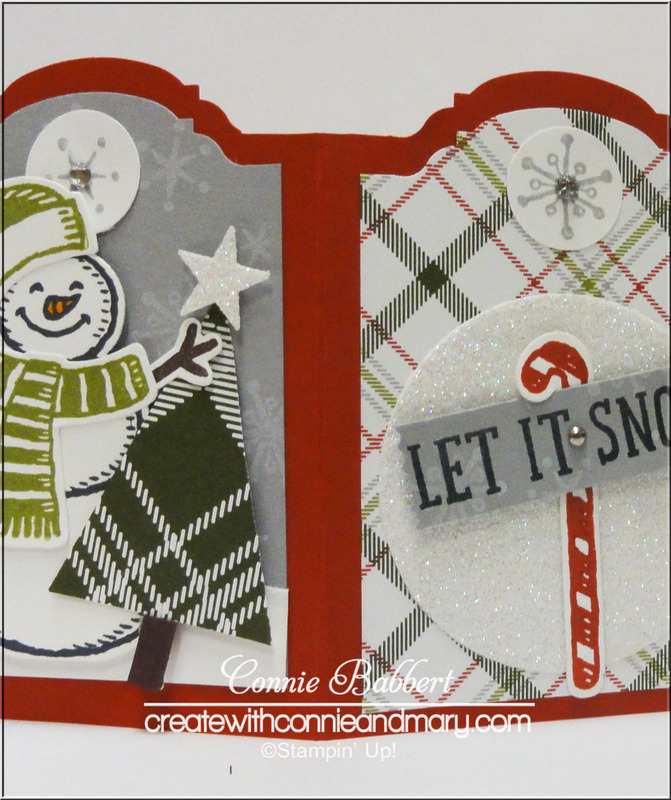 Have you heard about this month's Create with Connie and Mary edition? 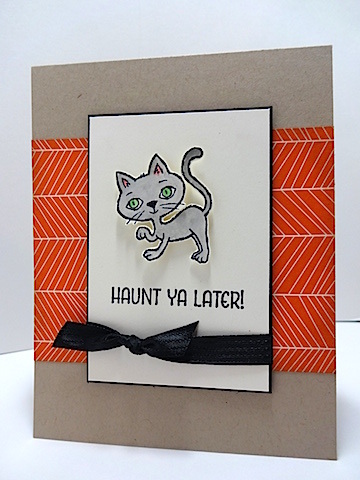 Both Connie and Mary have created a REMAKE of a couple of the Halloween projects with CHRISTMAS stamp sets! Yep! You really are getting a BONUS of two more tutorials. 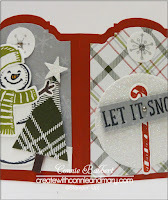 Below is a SNEAK PEEK of the project that I did from Debbie Henderson’s darling tutorial! Now is a GREAT time to subscribe for only $8.95 US…yes, for all SIX (really EIGHT!) tutorials! Check out Create with Connie and Mary for all the information on how to sign up! Wonderful card - great clean look. Love the pattern paper you chose. This little cat is just too adorable! Fabulous card and a great take on the sketch. Thanks so much for joining us at Freshly Made Sketches. That is a really cute cat - LOVE the big green eyes!! The background paper works perfectly to make it a "haunt you later" card! Thank you for playing along with us at Freshly Made Sketches.